Russian President Vladimir Putin “personally ordered” the killing of Alexander Litvinenko, the inquiry into the former spy’s death has heard. Ben Emmerson QC, for Mr Litvinenko’s family, said in his closing statement that Russian state responsibility had been proven “beyond reasonable doubt”. Mr Litvinenko’s widow Marina said she believed her husband’s “murderers and their paymasters” had “been unmasked”. But the Kremlin told the BBC it did not trust the inquiry. 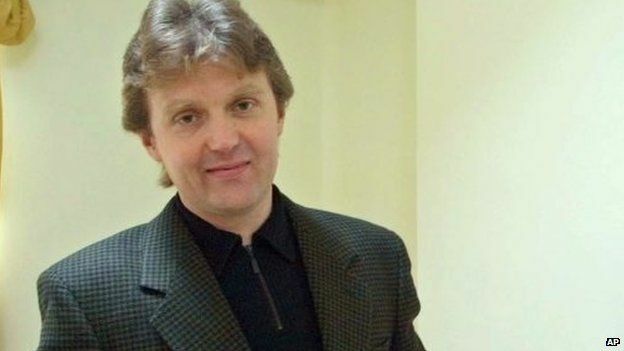 Dissident Mr Litvinenko, 43, drank tea containing a fatal dose of radioactive polonium during a meeting with suspects Dmitry Kovtun and Andrei Lugovoi in London in 2006. The Kremlin wanted Mr Litvinenko dead and provided theThe Kremlin used to kill him, Mr Emmerson alleged. Scientific evidence proves Mr Kovtun and Mr Lugovoi killed the former spy, he added.